Hand warmers and latex gloves are always good to bring along just in case. Nobody likes being uncomfortable while riding, no matter if it’s a soaking wet baselayer or frozen toes. Pedaling through the heart of winter is hard enough. There’s no need to make it worse. After spending many winters on the bike, I figured out what worked for me and what was a terrible experiment. Now I have a list of standbys that can extend rides and add to the pleasure of being outside in the winter. These straightforward tips will help you ride longer in cold weather. 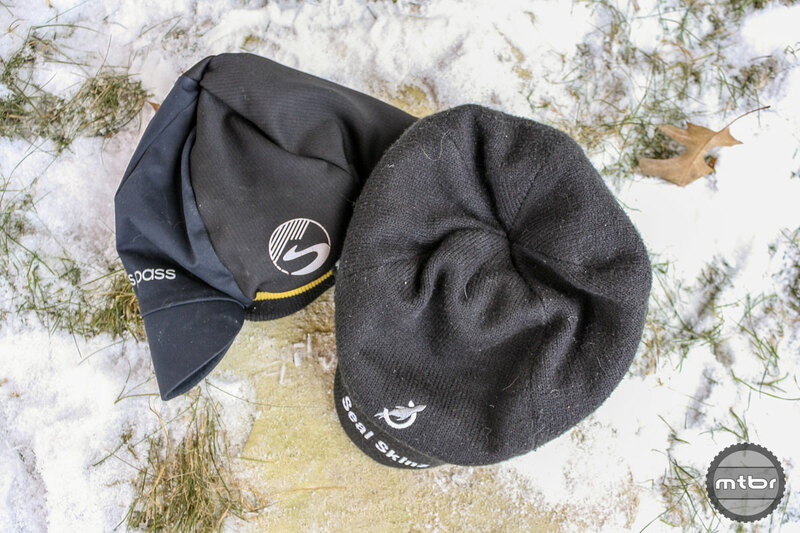 The perfect cap can make or break a good day out in the cold. Having a warm head while riding in the cold is a good thing, but we can sweat during hard efforts, which can soak our headwear. Negative wind chill will turn that once cozy thermal cap into an ice crown. Brain freeze would always happen to me riding home from the trails. Warm in the woods does not translate to warm on the roads. For others, this happens towards the end of the ride or after their intervals are over and they are soft pedaling home. 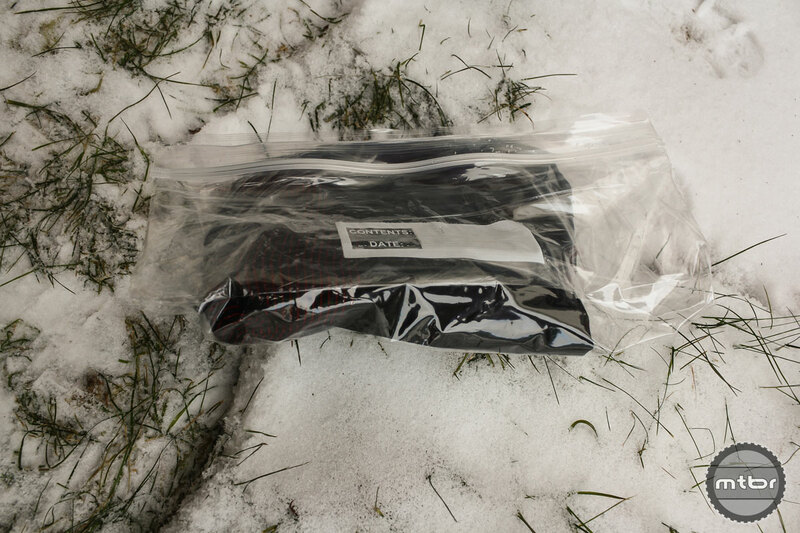 To avoid this, keep an extra winter cap in a waterproof bag (Ziploc works fine) in your pack or jersey pocket. When you’re headed home or stop in the market for a snack, switch caps, placing the soaking wet one in the waterproof baggie. Warmth and comfort always recharge me, making me want to ride more. A small package that will raise your warmth and top off your stoke. So you get a flat on your ride and need to take your gloves off on the side of the trail. Or what if someone in your group has a disastrous mechanical and you’re stopped for 20 minutes. When this happens get the tools out and crack open the chemical warmers (they take a bit of time to heat up), and then start the repair. 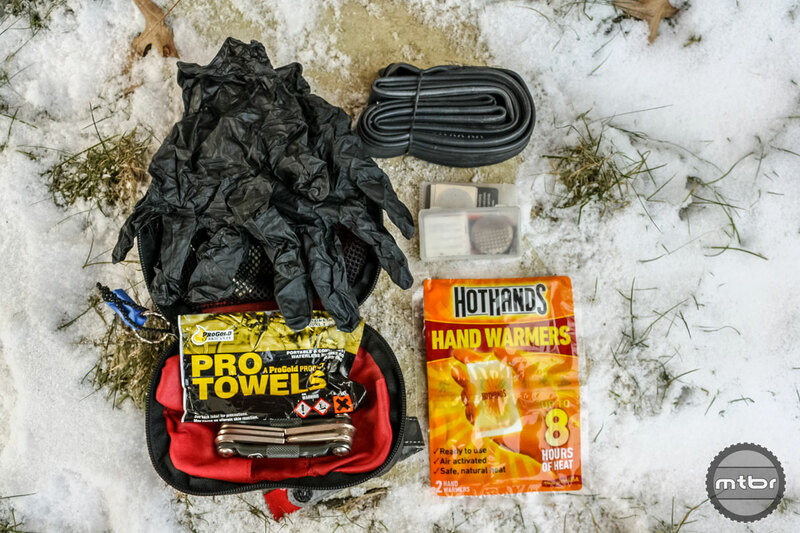 Even if the warmers wait until the end of the job to get hot, you can put them in your gloves and turbo heat your hands while getting back on the trail. Bonus: If anyone in your ride comes with the wrong gloves/shoes and they need the extra warmth. My guess is you’ll be given a beer or coffee at the trailhead for saving your friend’s digits. Sometimes you need warmth but you have to sacrifice control and other times you sacrifice warmth for lever feel. Sometimes it’s just too cold, but riding the trainer is not an option and you need the outdoors endorphins. For days like these, I turn my temperature up to 11 with chemical warmers. Personally, I like toe warmers, crack them open give a little shake, and stick them to your socks. Most warmer have an adhesive backing and I suggest placing them on the top of your foot over socks. This allows for maximum toe movement and no hot spots. If your shoes fit is snug try putting the warmer on the top of the air vents and covering the hole with shoe covers (the beefier the cover, the better). 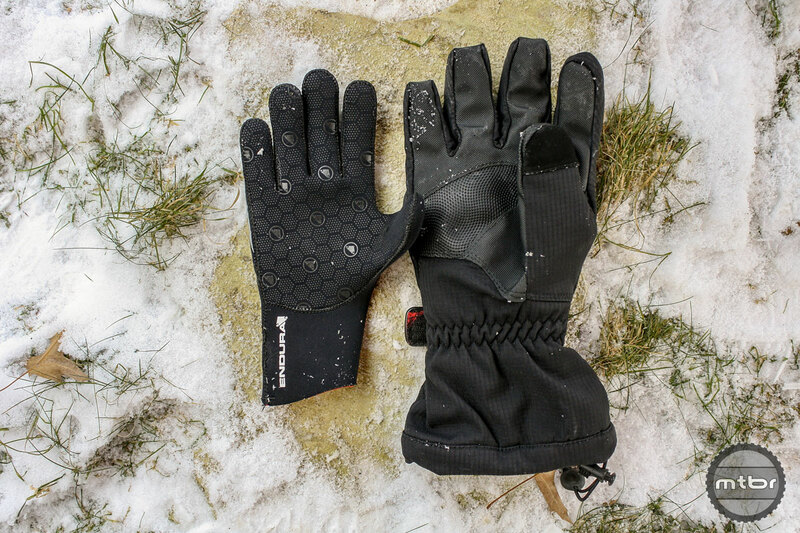 This trick will also work with gloves by putting the toe warmer on your inner wrist and placing larger gloves on top. Just be careful, as some chemical warmers can get very hot, which is why manufacturers do not recommend using them on bare skin. The Castelli Flanders base layer is thin enough for a small pack. When I’m going out for a longer ride (anything over 3 hours) and I know there will be a decent cafe or pit stop, I bring an extra base layer. 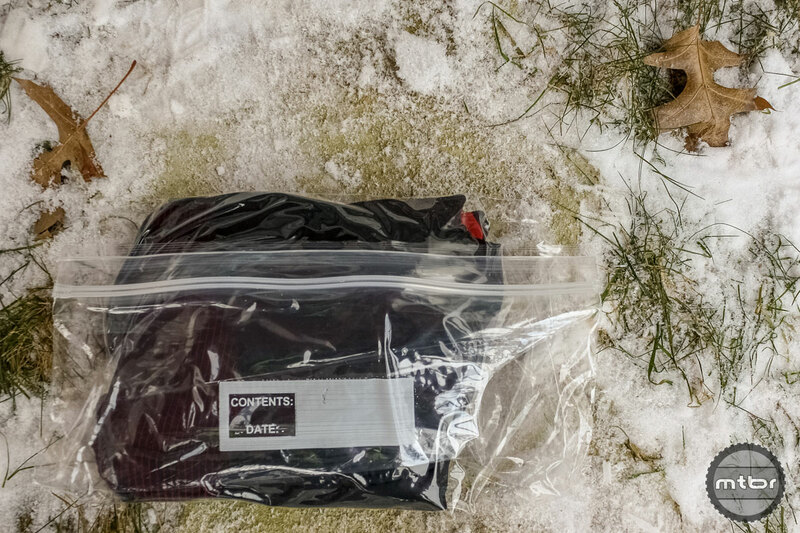 The idea is the same as above: Put the base layer in a waterproof baggie and toss in your pack or jersey pocket. When you pop into the restroom, throw on your back-up baselayer and toss the previous one in your bag. If you thought the new cap felt good, wait till you feel this. It works best with a short sleeve baselayer, but thermal is okay, too, if you don’t mind some extra volume in your bag or pockets. On days when you have a long ride to the trails or the wind chill is low, wear a wind vest under your top layer. You can pack a vest or wind shell for the same reason and pop it on after your shred session as well. Sometimes our outer most layer becomes sweat or snow covered, resulting in a cold, miserable ride home. The vest will keep your most vital parts warm as well as block moisture from the inner layers, keeping you nice and toasty. If you’re getting tired of frozen bottles try putting your bottle in the middle pocket of your under jersey. Sometimes I’ll wear a short sleeve jersey under my jacket so I can keep my bottle and snacks warm. A shot of whiskey in the water bottle will keep it frost free too, but that may be for a different ride! 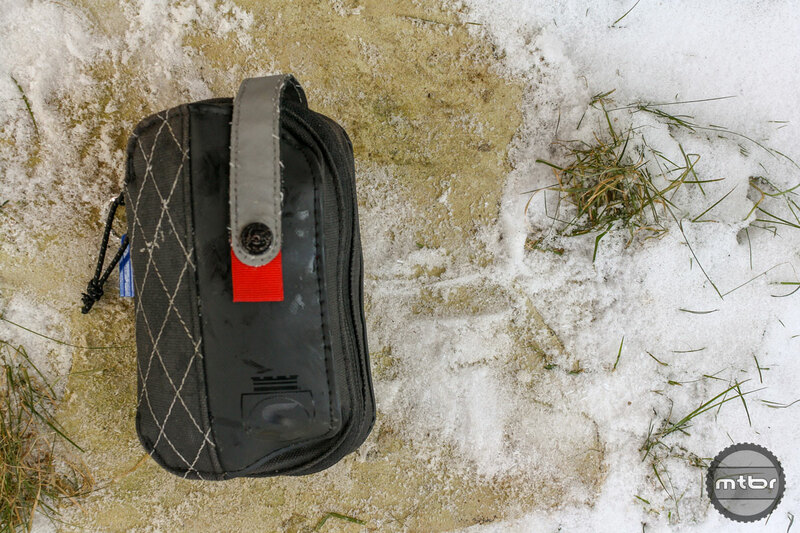 Hand Warmers and latex gloves are a solid add for any winter ride wallet or saddle bag. 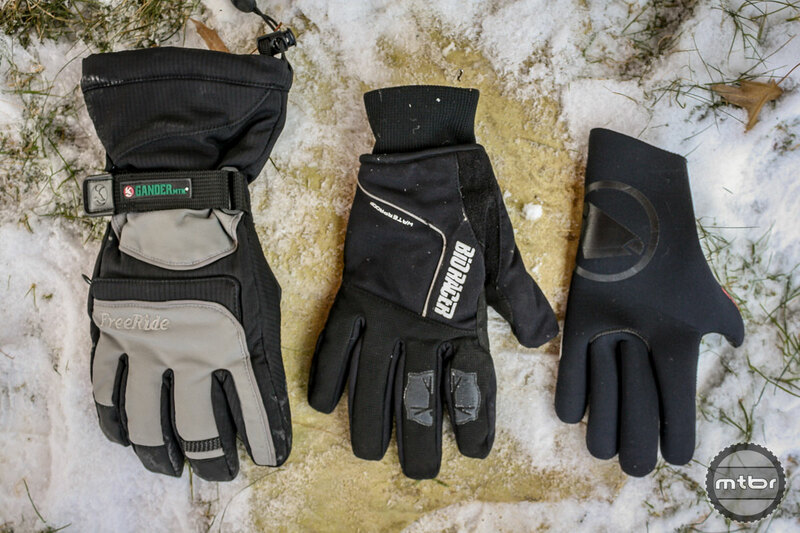 My favorite ride to the trails and session the trails gloves. 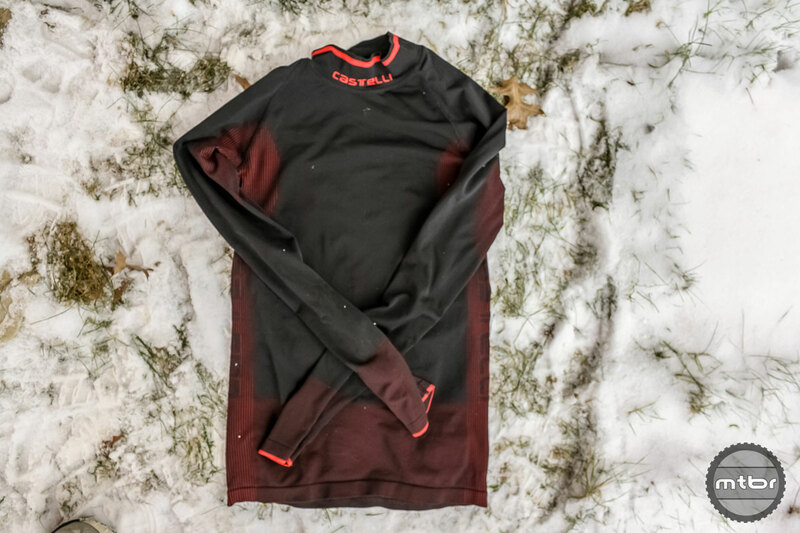 Castelli Flanders base layer is thin enough for a small pack. All packed up and easy to put in a jersey pocket or pack. 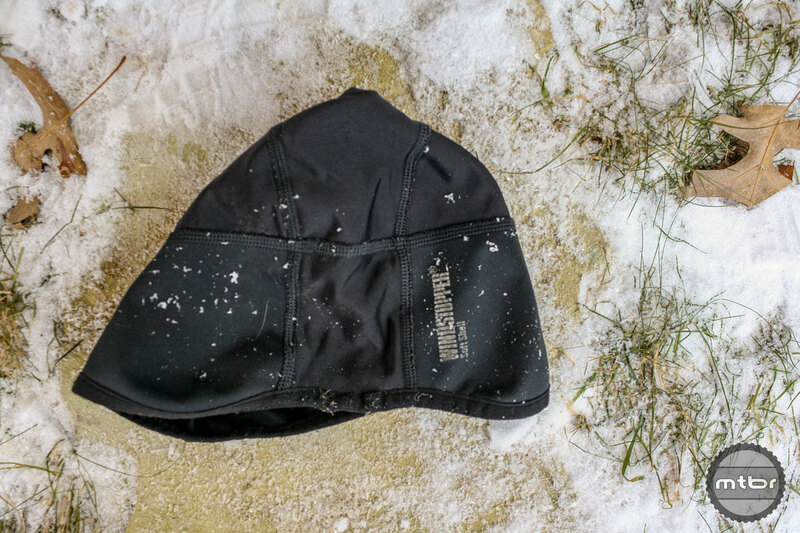 Gore WindStopper skull cap; perfectly packable. 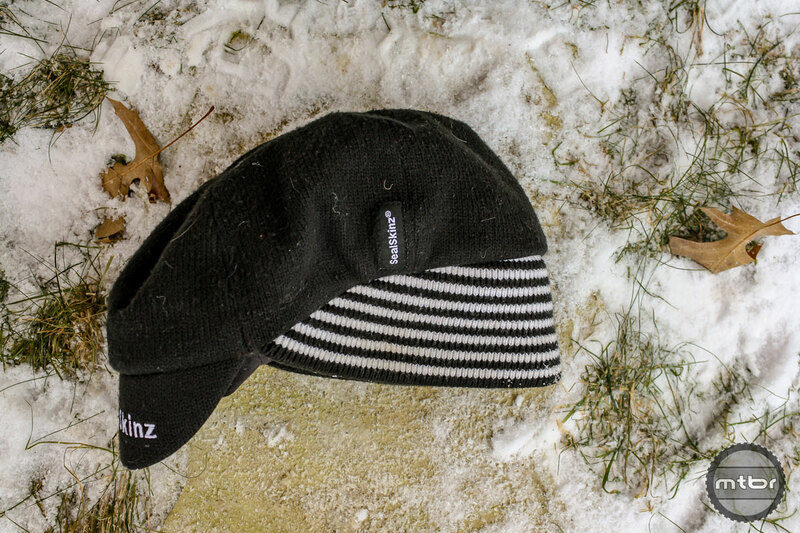 SealSkinz Belgian cap is my go-to when the weather is at its worst.